Source: Martin Brown’s analysis of data from an Oregon DEQ survey of ADUs. As a contractor and developer who has built new ADUs and converted existing structures into ADUs (through my company, Orange Splot LLC), I often get asked for ballpark ADU cost estimates. This post won’t offer the short, crisp answer folks are usually looking for. But I hope it at least offers some perspective on the wide range of ADU costs and provides a path towards a realistic cost estimate. If you’re putting together an ADU project budget, make sure to research and quantify these costs too. They may be smaller than construction costs, but they’re no less real. If this is all the information you have, there’s no way to tell if $120,000 is the construction cost or the full development cost. General contractors are more likely to quote the construction cost, because that’s the size of their contract and they’re unlikely to know about other costs involved. An owner is more likely to quote the full development cost, since they have to write all the checks. Either number can be useful, but it’s important to know which one you’re getting. If it’s not clear, ask! Why is the cost range for ADUs so dramatic, even on a square foot basis? Building a detached ADU over a new garage on the lot of an existing home. Note: Not all of these options are available in all jurisdictions. Check local codes! (2) ADUs are built to very different construction standards. Some are built like cigar box guitars, designed to provide serviceable housing within a tight budget. They may be partially or completely DIY. Others are built more like violins, by experts sparing no expense to create beautiful, custom little dream homes for someone (often the builder) to live out the rest of their days. A high end kitchen remodel can easily cost more than double the cost of an Ikea kitchen of the same size; the same holds true for ADUs. (3) Due to their relatively small size and inevitable location right next to a primary dwelling where the owner often lives, it’s tempting for handy owners to self-perform some or all of the construction work. This can decrease out-of-pocket costs, which sometimes results in under-reporting of an ADU’s full construction cost. An owner might remember to track material purchases but not factor in their own labor associated with buying or installing them, not to mention the cost a contractor would have included for overhead & profit for that portion of the job. Do ADUs typically cost more per square foot than full sized homes? So how do you estimate construction costs? Over the course of an ADU project, there will be a few rounds of cost estimates. These iterative pricing rounds help the owner make an informed decision at each stage of development on whether to proceed forward, adjust the design or scope to try and bring it within budget, or cut losses and drop the idea all-together. Right at the beginning, it makes sense to try and get a very rough cost estimate with as little work or expense as possible. Hopefully, results will be encouraging and you can shift from dreaming & scheming to designing & building your ADU. But if they’re not, you will have avoided wasting your own time (and likely other peoples’ time) on a project that isn’t financially feasible. Read what your local zoning code has to say about ADUs (usually just 1-3 pages), along with any on-line pamphlet your jurisdiction may offer to help understand the rules. Zoning codes aren’t the most exciting things to read, but they’re really important because they answer questions with potentially large impacts on cost and basic feasibility, such as: Would an additional parking space be required? Does your jurisdiction allow the type (ie. internal or detached) ADU you’re hoping to build? Is there enough ceiling height in the basement or attic to convert it to an ADU without making expensive modifications? Does the ADU need to match the exterior appearance of the primary dwelling? Does the city require a preliminary inspection and walk-through for a prospective ADU? If after a little studying it’s unclear how the code would apply to your particular situation, it’s probably worth a trip to the local planning department for clarification. You don’t have to do this work all by yourself, although it’s usually not all that hard. Another approach is to contract with an architect or project manager familiar with local regulations to help assess basic project feasibility. That will cost some $ early on, but might help avoid expensive surprises down the line. Also note existing conditions of the property that may have significant cost impacts. Is there a steep slope that would require a big (expensive) retaining wall? Is the concrete footing holding up that garage you want to convert into an ADU crumbling and in need of replacement? Will it be easy or complicated/disruptive to tie in to existing water and sewer lines? With these basic questions answered, you’ll be much less likely to spend a lot of time scoping out a project that can’t be built – or missing a significant cost (ie. creating a new parking space, if required), that could blow an otherwise feasible project budget. Sketch out your vision for the ADU. What form of ADU will it be (ie. conversion, addition, new construction…)? How many square feet? 1 story or 2? Any parts of design/construction you’d do yourself? What types of systems and finishes are you envisioning (ie. flooring, cabinetry, windows, doors/trim, roofing, siding, appliances, countertops, HVAC system, water heating approach, green building measures…)? Even if you don’t know what any of these cost, this information can help you, a contractor, or an architect sort through past projects to find ones most similar in finish level to what you’re planning. Use your network to find and interview owners, builders, and/or architects who have done ADUs or other small homes in your area somewhat like the one you’re contemplating. Contact those involved and get whatever cost information they’re willing to share. There probably won’t be great matches, but if you find something close you can start with a square foot cost comparison and make adjustments for differences between the homes (ie. add an inflation factor if the house was built a couple years ago; subtract some cost if the ADU contained a fancy heating system you wouldn’t be using…). 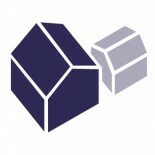 Review ADU case studies on this website for ones closest to the ADU you’re envisioning. Scroll to the bottom of this post for a table summarizing costs per square foot from recent case studies. Read ADU narratives for clues to finish levels and any cost adjustments you may need to make (ie. construction partly self-performed by the owner, demolition or other costs that might not apply to your project…). Recognize that construction and development costs can differ widely based on location, so don’t expect an ADU cost in Portland to be indicative of what a similar one would cost in Detroit, MI (less) or Boston, MA (more). Meet with general contractors and architects you might like to work with on your ADU project. Share your ADU vision and ask them for cost estimates based on their experience. If they take time to help with this and seem like they’d be good to work with, it’s nice to give them a chance to bid on the job if/when you get to that stage. With a rough idea for how much a proposed ADU will cost, it’s time to get serious about how to pay for it and to make a “Go”/”No Go” decision on whether to proceed. If it’s a “Go” you can bring on a designer and/or general contractor to start fleshing out the ADU design and scope. With the project becoming more real, participants in the process should be more willing to invest the time and effort it takes to prepare increasingly accurate cost estimates. And these interim estimates can be critical in preventing cigar box guitars from morphing unexpectedly into Stradivarius violins that never get built. We’ll wrap up this post with a quick summary of costs for ADUs profiled on this website. If you find one similar to what you’re planning, that could provide a very rough initial estimate. which link, Sue? I will try to fix it. Hi, I am just bought a home in Santa Cruz and I am going to build an ADU. Do you have a good firm/person/architect that I can work with? Sorry, Phil, right now this site doesn’t have the resources to vet professionals. Perhaps someone else will see your query and chime in, though. We have been thinking about creating a way for professionals to list themselves, but it’s not ready for prime time yet. Stay tuned! In doing some research for our detached ADU I spoke to our insurer. They weren’t aware of a way to cover our ADU if we chose to rent it out. Thoughts? He said it might be possible if the main house and ADU had separate addresses but I haven’t seen insurance or address changes covered here. Can someone who has an ADU in Portland advise how they handle insurance coverage? It should just be considered a second unit from the perspective of an insurance company (e.g. a duplex). We haven’t heard of challenges getting ADUs covered, so you might want to just call up a couple other carriers for quotes. For one of our editors, their Farmer’s policy on the primary home was expanded to cover the newly-built detached ADU for an additional cost of ~$500/yr. This entry was posted on May 1, 2014 by Eli Spevak in Design & Build, Financing and tagged ADU costs, ADU per square foot cost, cost of building an ADU, how much does an accessory dwelling cost?, how much does an ADU cost?, why are ADUs so expensive?, why are small houses so expensive?.